A 1991 archive photograph of Brigadier John Spiteri, published in the year he retired at 61. 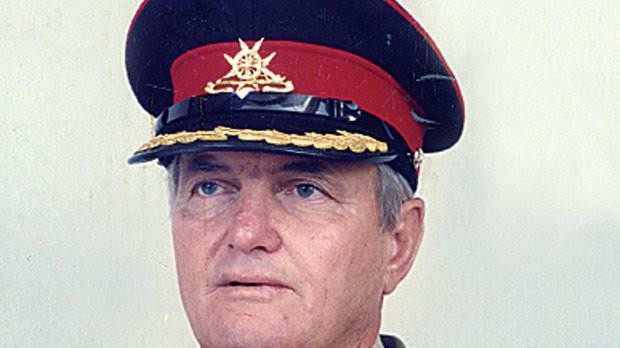 Brigadier John Spiteri, the former commander of the Armed Forces of Malta, died on Wednesday at the age of 80. Trained at the Sandhurst Royal Military Academy, Brigadier Spiteri served in the British Army from 1949 before joining the AFM in 1971. In 1979 he was appointed Commander, heading the service in a difficult time when important sections were hived off to form the Task Force. In 1987, following the change of government and the attack on the law courts building, he was given the additional duties of Commandant of the Police Force until 1988. He was promoted to Brigadier in 1988 when the AFM and the Task Force amalgamated. In 1989 he was involved in an incident when he was assaulted and injured during a parade at the foot of the Freedom Monument in Vittoriosa.He retired from the army in 1991 and later served on various bodies including the Public Service Commission. The funeral will be held at Tal-Karmnu church, Balluta, tomorrow at 2 p.m.